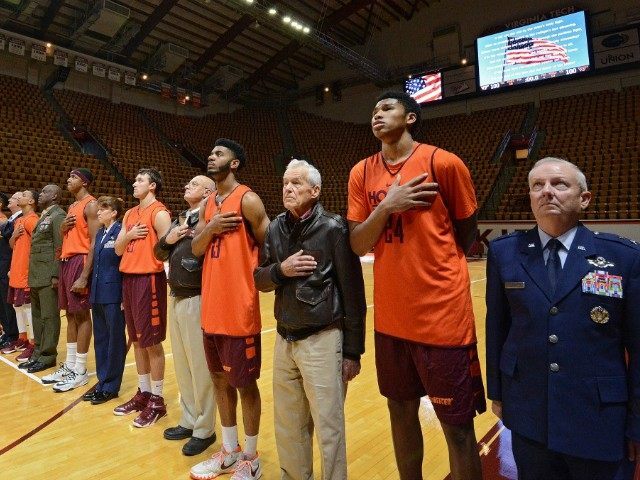 Virginia Tech basketball coach teaching his players to respect our flag… and to honor those who have worn our uniform! Very impressive! Lessons these players will never forget and hopefully pass on to others. What a speech, definitely impressive. Guess what team I’ll be rooting for!!?! 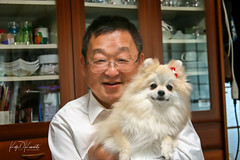 Yup, no question about, Koji – you got me! I love it when coaches/teachers use their platform to teach respect. One not so good observation. One kid looked like he was reading off a sheet of paper, perhaps the lyrics to our national anthem? 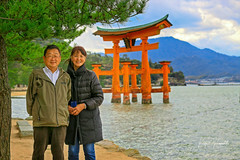 Very nice; this is the first that I’ve heard about this. In general, I think all the coaches at VT put the players’ personal development over winning (e.g., first string kicker kicked off the football team for conduct issues; second string kicker sent home the night before a bowl game for breaking curfew; third string kicker did the best he could, but VT lost the bowl game by one missed field goal). Anyway, it is good to see VT in the news for something positive for a change; I’m proud to be affiliated with this university. Thank you, Dr. Green, for your thoughts. Indeed, VT has been through a lot. I made business visits to Salem, VA and many of the engineers had ties to VT. You should be very proud to be an educator there, sir. this rocks – and not sure if you know this – but we have a lot of Tech fans in our town – it is a top school around here – not one I love – but I did have more respect after seeing this post – good job coach! oh cool – I went to a wedding in Salem 0- and get this – a jewish guy married a girl from india – and it was the coolest blended reception… my friends flew in to richmond for the wedding in salem and drive out from here – I tagged along – originally I was not invited to the wedding, but did know the gal and so I was then invited because I went with my two friends (and it was the kind of wedding where numbers did not count). anyhow, I was just giving away books and found a pictorial history book of va tech – and I am giving it to this guy who has generations at that school.